Jobu weighs in on everything Masahiro Tanaka Related. It’s no secret that the Yankees need help with their rotation. We’ve covered this pretty extensively on this blog. Quick review… The Yankees’ starting rotation right now is made up of a declining (but hopefully learning to pitch with his declined stuff) CC Sabathia, a soon-to-be 39 year old Hiroki Kuroda, a promising yet still inconsistent Iván Nova and then a gaggle of unproven or rehabilitating arms like Adam Warren, Vidal Nuno, Michael Pineda and David Phelps. To say that they would benefit from the addition of a young and proven starter would be the understatement of the century. Is signing Tanaka a must? That depends on who you ask, of course. Luckily for you, you’re asking the all-knowing Jobu, and he’ll soon answer that question for you. Sign Him at All Costs? Let’s talk about what makes Tanaka such a hot commodity now that he has been posted by the Rakuten Golden Eagles of the NPB (Nippon Professional Baseball) league. First of all, he immediately became the youngest free agent on the market, because he just turned 25 in November. To put that in perspective, Mike Trout and Bryce Harper, who made their big league debuts at the ripe old age of 19, won’t hit free agency until they are 26. There might never be a domestic free agent (other than people who are released at a young age because they stink) that young. You can only find such young free agents, with this much talent, who are big league ready, in Asia and Cuba. That’s probably gonna be it for now. Second of all, to take a line from Eddie Murphy’s classic film, “Coming to America,” He good! That boy good! He’s been easily the best pitcher in Japan since Yu Darvish joined the Texas Rangers. Over the last three seasons, he’s gone 53-9 with a 1.44 ERA in 77 starts. Last year, in his final audition for major league teams, he went 24-0 with a 1.27 ERA. That’s silly. While he didn’t quite rack up the strikeout numbers that Darvish did in Japan, he’s no slouch on the K front, whiffing 593 guys in his 611.1 innings over those past three seasons. “You could see from day one he’s kind of a different animal,” McGehee said. “He’s unbelievably competitive. The jury is out on how many pitches he has, but he’s got at least three that are weapons, not just pitches he uses here and there. He can lean on any one of his fastball-slider-split at any time. Granted, Casey McGehee is a few years removed from being a productive major league hitter, but that’s definitely an encouraging assessment from a guy that has faced, at one point or another, the best pitchers in Major League Baseball too. He doesn’t have to be able to hit the pitches to know that they’re good, right? Not signing Tanaka is definitely an option. If the Yankees don’t like making the playoffs or being good at baseball, they can let the Cubs, or one of the other suitors around the league, sign him. OK in all seriousness though, there are potential reasons to let Tanaka go to another club. Let’s go through them quickly. For one, he’s never gotten a major league hitter out. There are a handful of hitters in Japan who could be successful major leaguers. The Yankees have seen this first hand, as they have, at one point or another, employed two of the best Japanese major league hitters of all time in Hideki Matsui and Ichiro Suzuki. However, every major league hitter is a major league caliber hitter (except some bench guys, pitchers and the 2013 Yankees hyooooo). Is he going to be able to handle facing the talent level he will have to face as a major leaguer? I certainly don’t expect him to go 24-0 with a 1.27 ERA when he comes stateside, but if he can put up comparable numbers to Darvish (except for the Ks), the Yankees would be ecstatic. Second of all, there are reports that, like many other Japanese hurlers, his arm has been heavily taxed as a member of Rakuten’s rotation. Over the last five years, Tanaka has averaged 113.3 pitches per start. That’s more than any major leaguer. Only Justin Verlander, who has averaged 112.9 pitches per start, comes close to Tanaka’s load. He once threw 742 pitches over a six start stretch in high school (123.7 per start). He also threw a ridiculous 160 pitches in Game Six of the Japan Series this year, and threw 15 more in relief the next day. c These numbers, when compared to how pitchers are coddled in America, are very alarming. The same thing was said about Daisuke Matsuzaka before he came over from Japan, and it only took him two years before the wheels started coming off. At the time, he was only a year older than Tanaka is right now. I am concerned about this, but you can’t assume that, just because one guy got hurt, everyone will get hurt. Look at Kuroda. He pitched in Japan for ten years under those conditions, and he’s only had one injury plagued year in the bigs. That came in 2009, when he missed time with a strained oblique and then again when he was hit in the head by a line drive. Other than that, he’s been very durable. Also, he will not be pitching as much in America, unless he signs with the Rangers (they are not expected to be players in the bidding). As I mentioned before, American pitchers are much more coddled, and rarely reach 110 pitches, let alone 120 or 130 and beyond. He will be pitching more often though, as Japanese pitchers usually end up with three or four less starts per season than major leaguers, which I guess could negate that last point about coddling. Either way, I think that the risk of missing out on his talent is greater than the risk of injury once he signs. This section is basically meant to be a catch-all for everything else notable about this situation. Let’s get to it. 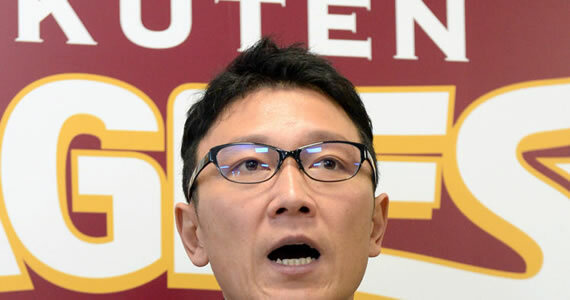 There are reports that Tanaka might have a side deal with Rakuten, the terms of which say that the ace pitcher will “donate” money to the Eagles’ new stadium fund once he signs a big league deal. Why is this controversial? It basically circumvents the whole new posting agreement that the NPB and MLB came together on last month. The new rules put a $20MM limit on bids from MLB teams for Japanese players. This deal was approved by every Japanese team… except for Rakuten. That’s because the bidding for Tanaka was expected to reach as high as $75MM. All of that money would have gone to the Eagles. Now, the most they can profit is $20MM. This is great for the players that come over, but screws teams over if they have a stud to post. 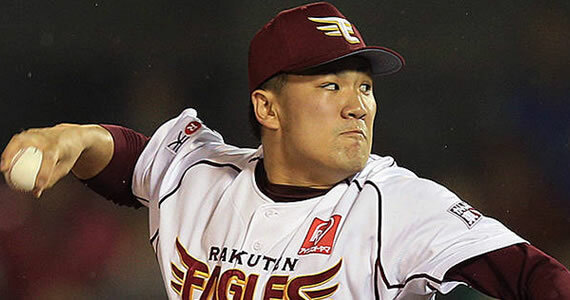 Apparently, MLB has said that they will make sure that Tanaka has no such side deal with the Eagles when he signs. Obviously, they’re trying to protect the agreement, but who are they to say what Tanaka does with his own money once he signs on the dotted line? If he wants to donate to their stadium fund, he can do that all he wants. If I was Rakuten, I’d start making side deals with whatever team signs him too. Why not? While I think it’s good to limit the bidding to open it up for more teams to pay the players more money, why should the teams get screwed? I imagine that whatever team does sign Tanaka, will have some endorsement opportunities in Japan (if they don’t already have a big presence there) anyway, but maybe a little extra cash wouldn’t hurt things. Yes. I am advocating under the table shennanigans. Get the man signed. When Will A Deal Be Done? The one thing we know is that Tanaka will have signed with a major league team (or returned to the Eagles) by January 24th. The 30 day bidding period kicked off on Christmas Eve, which led to a very merry Christmas for MLB teams looking to sign him. Who Is In On This Thing? The Yankees and Cubs are the favorites to land the Japanese ace. 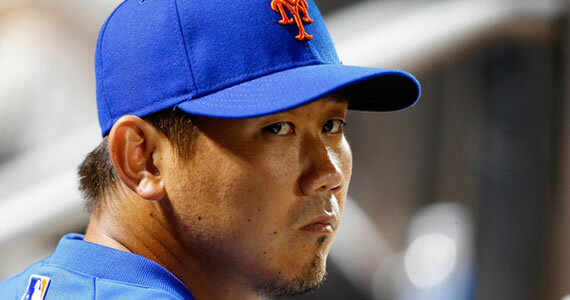 The Yankees have lots of money, and have made it no secret that they need a pitcher and want it to be Masahiro. Theo Epstein, the general manager of the Cubs, has also made the same types of statements. At least these two teams will be all in on Tanaka, which could push the righty’s contract into nine figures. Several other teams have expressed interest in Tanaka as well. The Diamondbacks are also highly interested, and it is rumored that they are already willing to fly to Japan to meet with him personally. That’s probably unneccesary, as Tanaka is represented in America by agent Casey Close (who also represents Derek Jeter, Mark Teixeira, Clayton Kershaw and others), but it might be the type of “extra mile” sentiment that could bring Tanaka over if he’s on the fence. Other mentionable teams that could possibly sneak into the bidding are the Red Sox, Blue Jays, Angels and Dodgers. They all have money to spend, and everyone could use another great pitcher in the rotation. Here’s hoping all of these guys get lost on the way to their meetings. Can Brian Cashman somehow get all these guys together and dehydrate them, a la what The Joker does to the United Nations Security Council in Batman the Movie? It’s the only… logical… solution, but some days you just can’t get rid of a bomb. OK, I’m quoting Batman the movie. That means this article has become too long. Let’s wrap it up by saying that I really am hopeful that Cashman and the Steinbrenners will do whatever it takes to make this deal happen. If they can get him signed, and one of the kids steps up to fill the fifth rotation spot (assuming the Yankees don’t just go crazy and sign Arroyo, Jimenez or Garza), I think the Yankees could once again be the favorites to win the American League East.